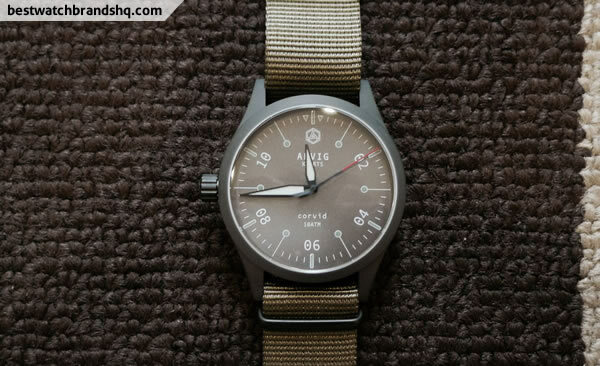 I happen to stumble upon the brand Aevig while browsing around and I found this attractive and unique looking watch called the Aevig Corvid. 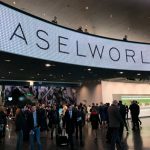 So I decided to dig more info about the brand. 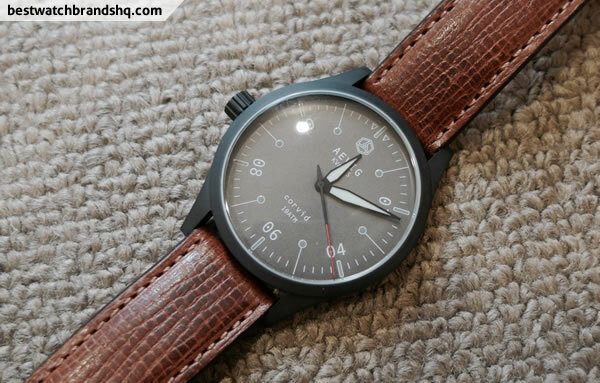 Aevig is actually headed by Chip Yuen based in the Netherlands and has a couple of other watches in the pipeline like the Balaur and the Valkyr while the Corvid and Huldra is probably the first few that was first sold. 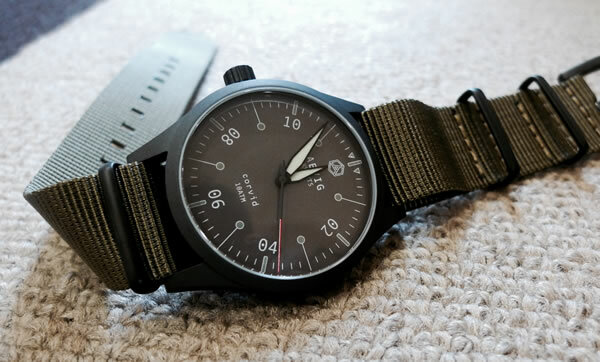 I found out that the first version of Corvid was a hit and was sold out when I first saw it but due to demand Aevig decided to release a second version called the Aevig Corvid MK2. The Corvid MK2 has some new case and dial options while I believe there were some minor tweaks to the hour and minutes hands where it’s slightly broader but shorter in length compared with the original version. 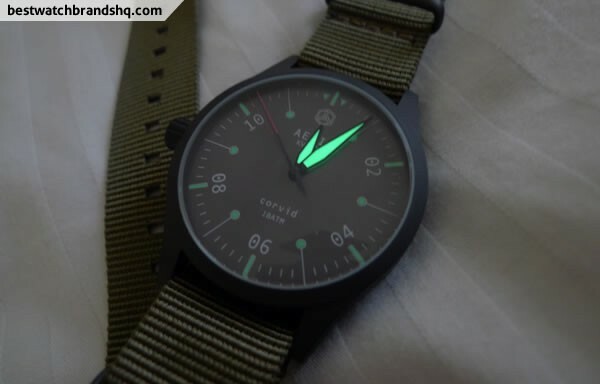 There will be 3 dial options: matte black, matte camel and a full C3 lume dial. As for the case, there’s either the matte black finish or the brushed stainless steel. I chose the full stealth black version and it arrived in a pretty nice creative looking box. The case is the perfect size measuring 40mm which fits smaller wrists like mine at 6.1 inches but the lug to lug distance is 48mm which is pretty tall for a 40mm watch. In photos the lugs does look like it’s hanging over the wrist but it looks slightly better in person though I would’ve preferred it to be shorter. That’s the max I would go if you have a similar wrist size like mine. It’s also on the slim side with a thickness of 9mm with the domed mineral glass. On the back of the case is a brushed steel case back with a block shaped icon. The case has a nice black matte coating over stainless steel and has a good solid weight to it and it definitely does not feel cheap. The question is whether the coating can withstand scratches but my guess is it probably won’t as it’s not DLC or Cerakote coating which is much stronger. The crown is at the 9 o’clock position instead of the standard 3 o’clock position. 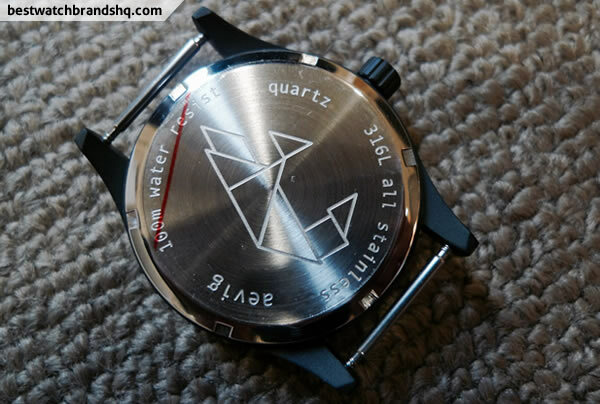 That takes some getting used to but luckily since it’s a quartz watch, you just set and forget. The pros of having it there is that the protruding crown will not poke your skin if you’re wearing it on your left wrist. 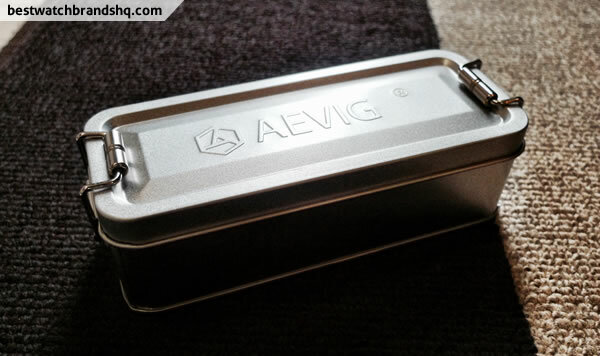 The crown’s size shows its presence and it has the Aevig logo etched to it. 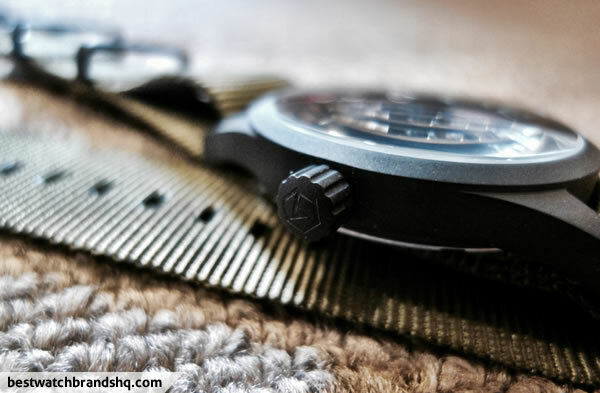 Also it’s a screw down crown which will make it more water resistant as the watch was built for ruggedness. 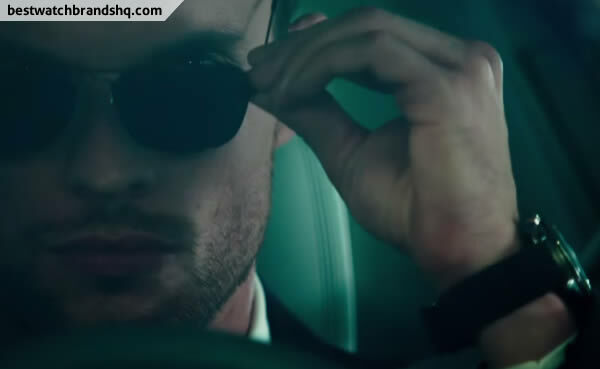 The dial is what really got me attracted to it in the first place. It mixes both modern fun design and classic military look. It has a clean look without getting too busy. 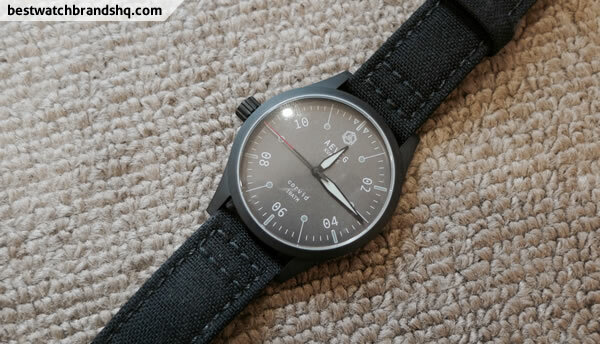 At 12 o’clock we have the Aevig logo and just right below it the AEVIG KVARTS letters. Most of the markers are printed in white for the black dial version where double digit Arabic numerals are at the even number positions. Also at the even number positions are lumped bars while the odd number positions are lumed lollipop design. What’s missing though is a date feature which would’ve made this an even better watch for me at least. The dagger shaped hour and minute hands are filled with C3 SuperLuminova just as the other markers and when charged it glows into a unique pattern which is a joy to see. The circle and bar markers lume are not strong and will only last for a short while. 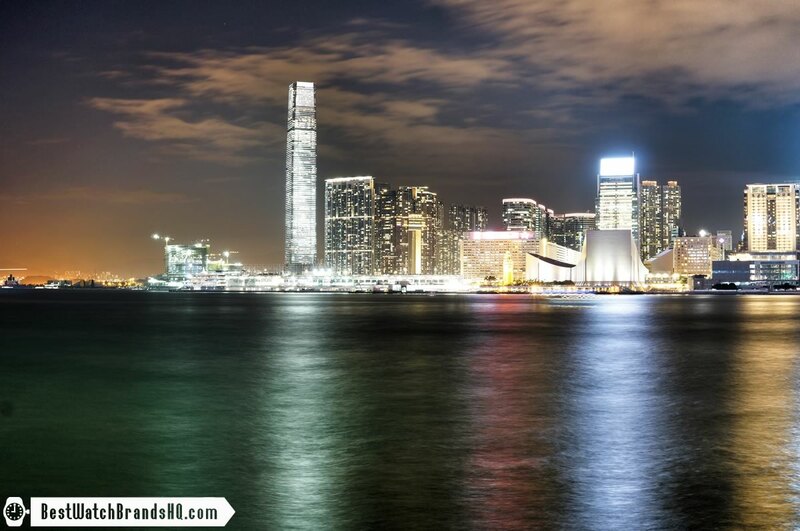 The hour and minute hands though will glow through the night if charged fully. The movement is a Swiss made Ronda 703 quartz movement and some may prefer a mechanical though that’s in the pipeline as well. I think for anyone’s collection there should be a good mix of both mechanical and some good quartz pieces. I’m glad this one is with a quartz movement as I don’t have to set the time for every piece I own. 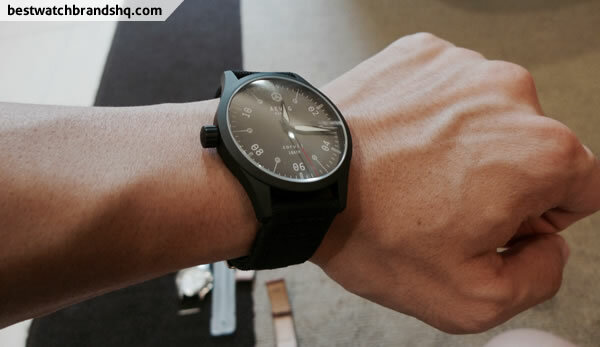 I can just quickly grab a quartz watch like this when I’m rushing to somewhere and don’t have time to appreciate the fun of setting up a mechanical watch. The battery is expected to power this watch for up to 6 years so it’s fuss free maintenance for this timepiece. 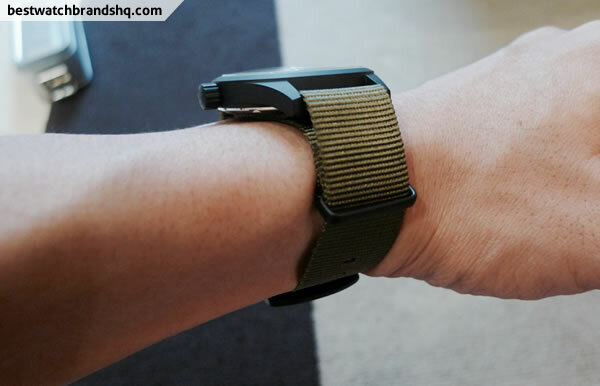 It comes with a olive green NATO strap and matching black PVD hardware which suits the military look of the watch. 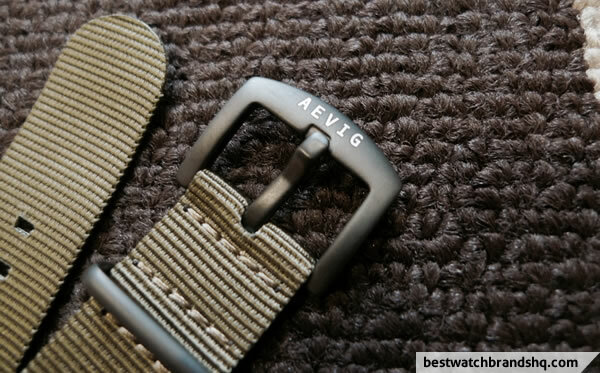 The buckle has the Aevig letters printed on it as well. As the lug width is 20mm, you can fit it with many other straps like this brown leather to give it a more sophisticated look or a black Cordura strap to give it a more stealth look. I find it really looks good on the other straps. 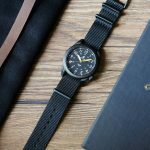 Aevig is an interesting upcoming watch company as depicted with the Corvid MK2 and there’s plenty of other offerings coming soon. The Corvid MK2 is definitely a unique piece and I like wearing something that feels different on my wrist. 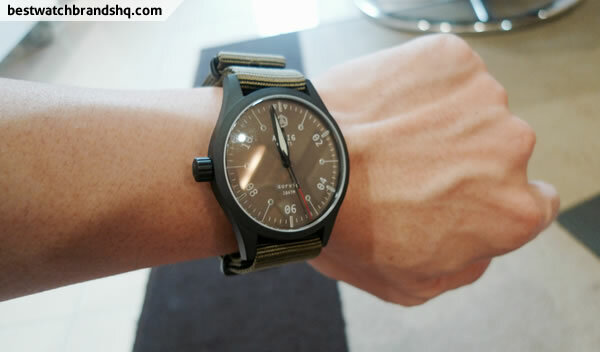 It’s the perfect beater watch with its rugged look, 100 meters water resistant and reliable accurate quartz movement. If you’re a lume guy like me, you’ll be pleased with the brightest SuperLuminova type which is C3. The watch retails for €129 inc VAT and you can find out more from their site.